We wish to thank the teachers, administrators, and program staff of our partner school district for their time and efforts in this study. The following UMBC students assisted in the collection of classroom recordings: Abby Singer, Ahmed Al-Salihi, Goureesh Paranjpe, Garrett Bockmiller, Marcus Foster, and Ekaterina DiBenedetto. This project was funded by a Discovery Research K–12 National Science Foundation grant (DRL 1418183). Reiser, B. J. (2014). Designing coherent storylines aligned with NGSS for the K-12 classroom. Paper presented at the Professional Development Institute of the National Science Education Leadership Association, Boston, MA. Retrieved from https://www.academia.edu/6884962/Designing_Coherent_Storylines_Aligned_with_NGSS_for_the_K-12_Classroom. Accessed 22 June 2017. Saderholm, J., Ronau, R. N., Rakes, C. R., Bush, S. B., & Mohr-Schroeder, M. (2016). 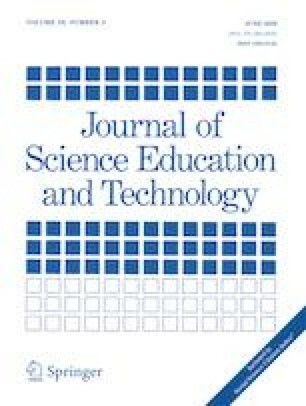 The critical role of a well-articulated conceptual framework to guide professional development: an evaluation of a state-wide two-week program for mathematics and science teachers. Professional Development in Education. https://doi.org/10.1080/19415257.2016.1251485.